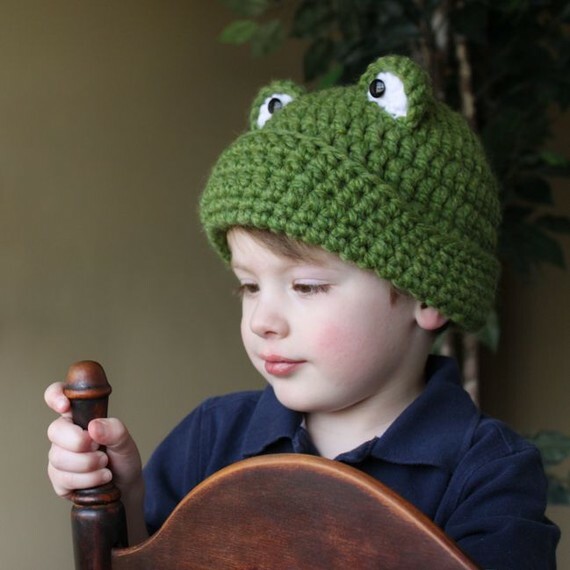 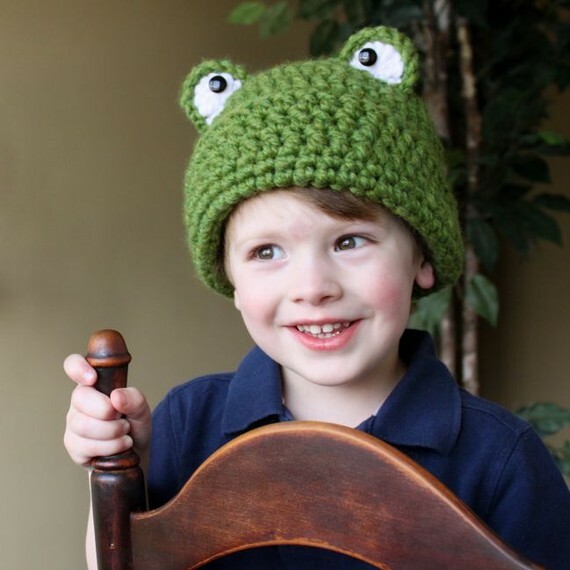 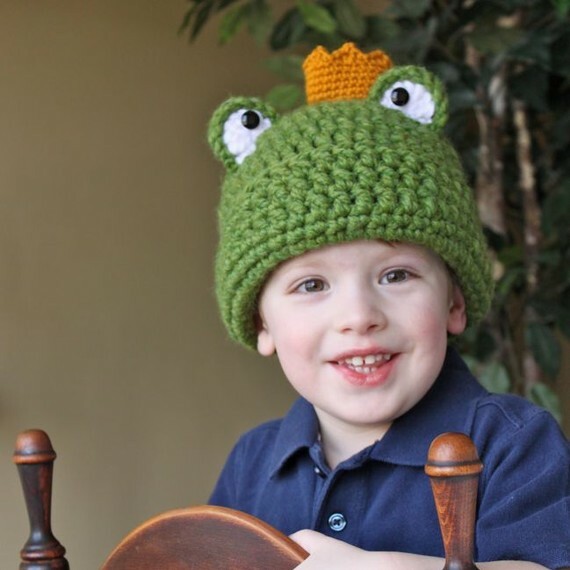 Get lots of kisses in this adorable Frog Prince Hat. 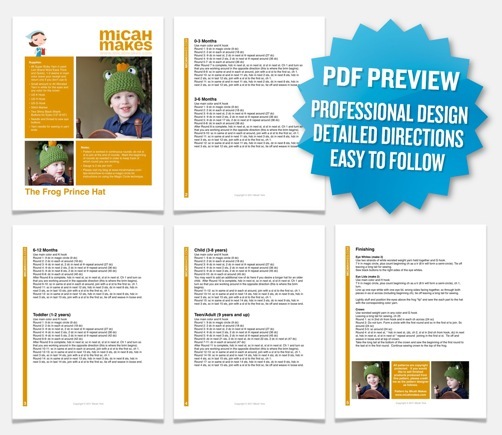 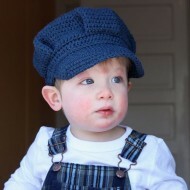 It is great for an everyday hat, but also makes a great photo prop or costume. 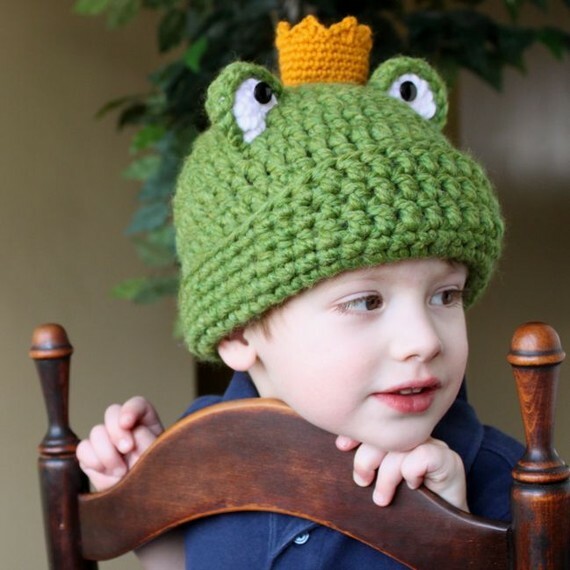 Leave the crown off for a plain frog hat, or add flowers or bows to make it a frog princess. 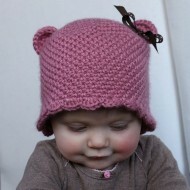 I designed this hat to be seamless so it looks great from all angles. 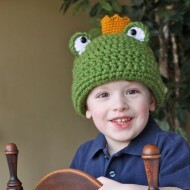 It features a roll up brim which forms the frog’s lip. 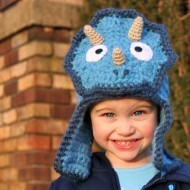 This pattern is made with super bulky yarn and contains six sizes.